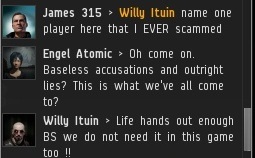 People sometimes ask why I and other Agents bother to request 10 million isk from miners whom we suspect are AFK. True, when the New Order brings a system to life, local can scroll quickly, and the message we send to the miner may be long gone by the time he returns to his keyboard. That's why I also send each miner I bump an EVEmail reminding them of their responsibilities under the Code and instructing them how to fulfill them. A majority of miners never respond, but many do. 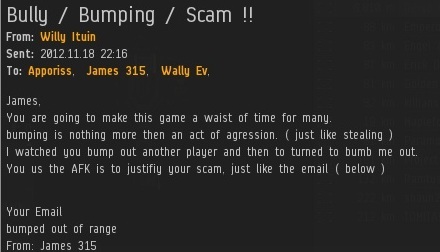 Ore miner Willy Ituin sent me an angry EVEmail, which he also forwarded to Apporiss and Wally Ev. I don't know them, but whatever. As long as we're forwarding our correspondence to random people, consider all MinerBumping readers on my CC: list. I replied with a shorter, blunter version of my regular form EVEmail. Willy had a slight case of amnesia. Everyone in highsec elected me, and by mining in my systems they are deemed to have agreed to the Code. I have never seen things more clearly in all my life, and I do not see a trace of bullying in what the New Order does. Standing up against bullies, perhaps. We're anti-bullies, i.e. the good guys. The bullies are the people who passive-aggressively refuse to obey the Code. 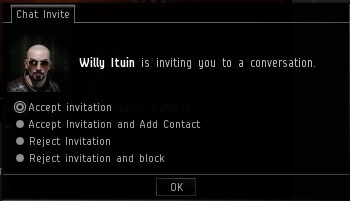 Willy stopped sending me EVEmail after that. I find it kind of amusing that the straw that broke the camel's back was my comment about him being my "bro". Next, Willy attempted to escalate matters by appealing directly to the people of Abudban. Newsflash: You can't go over my head when I'm the ruler of all highsec. There's nothing above me. Willy saw highsec mining as an escape from the drudgery of real life. You might say he mines because he finds it "relaxing". But I'm not here to help miners relax; I'm here to help miners better themselves and evolve into worthier people. Complacency is no virtue when there is so much work to be done! I took pity on Willy, so I decided to make a special arrangement with him: A mining permit for 10 million isk. It's the same deal I offer everyone else--I don't play favorites. Still a good deal though. 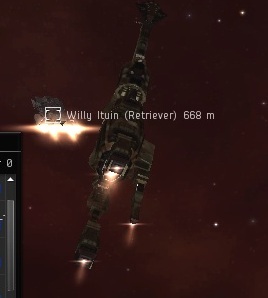 I was reunited with Willy a few minutes later by a chance encounter in an asteroid belt. I guided him back away from the "permits only" portion of the belt. Everything in its proper place. At last, Willy saw reason. ...Or not. He left the convo immediately after making his complaint, and he docked up. The exchange of ideas facilitated by written correspondence is marvelous. It would be even more awesome if Willy had some ideas to give, as well as receive. Maybe next time. My door is always open. "Life hands out enough BS we do not need it in this game too !!"